Jasenka has graduated Psychology at the Faculty of Philosophy in Zagreb. She began her career in human resources management, more than 20 years ago as a trainee in Podravka. During the nineties she provides a variety of business roles and positions in the field of human resources management. 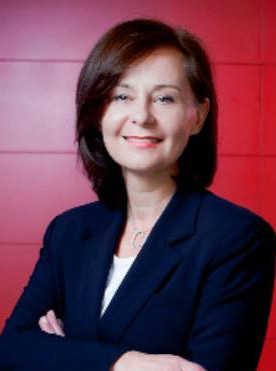 In 2000 she took over head of HR position in Carlsberg Croatia where she become a strategic partner to the Board and has been in charge of hiring and development, organizational development and culture change, motivation of employees, process efficiency and management systems of remuneration. In 2007 he moved to Belupo as director of human resources. Since 2012, she takes over the position of Human Resources Director at Podravka Group and implemented a number of processes to improve the efficient use of human resources, introduces the best practices of human resource management in the company and through a series of innovative projects and processes contributes to the achievement of international goals of the company. From 2014 Podravka is the holder of the Employer Partner Certificate which is evidence of the top quality functions of human resource management. She completed numerous courses, trainings and seminars and participated in a number of international and Croatian conferences as a guest and as a guest lecturer.